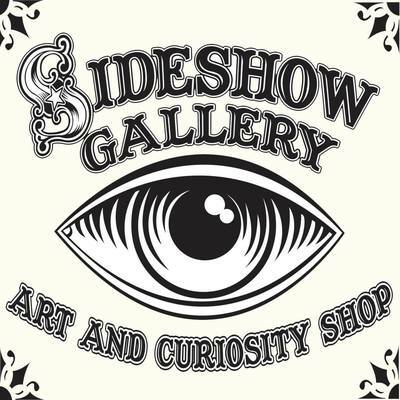 Sideshow Gallery is an exhibition space and store chock full of art, antiques, and oddities located in Chicago. 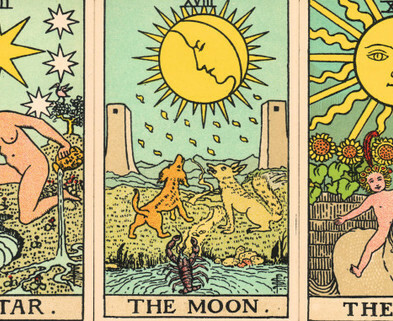 We often host events & classes, and specialize in beginner tarot workshops. The class was awesome. The instructor did a great job of explaining the concepts, was animated and funny, and welcomed us to interrupt at any time with questions we had. The shop was awesome. All in all, a wonderful experience. This was a great class. 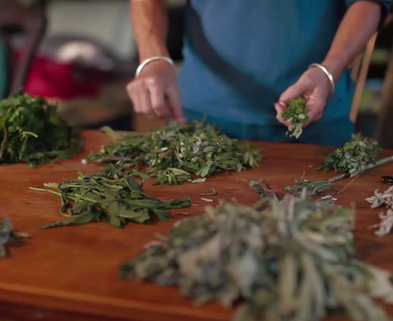 I learned a lot of new things about incense and the process to make cones. JB, the instructor, was super knowledgable and friendly. The location was pretty awesome as well. This is a class that I would not mind taking again in the future! My neighbor suggested we take this class and I am so glad we did! The eclectic shop was fascinating, the atmosphere was informal, and the class was a lot of fun. Although I am not a fan of the occult, mysticism or anything like that, I found the class entertaining and the artwork of the Tarot beautiful: I even bought my own deck. I would recommend this class if you want to try something totally new and outside your comfort zone. I would definitely go again! This class with Anne was so awesome. We learned a lot more than I thought would be possible in two hours and the environment was great. Love the shop. LOVE Anne! It was such a great experience and I highly recommend it!! Really enjoyed the class! It was a great introduction for beginners and people who have been working with tarot for a little while. For a first-timer, it would be fun, informative and a chance to try something new with a great teacher! I definitely want to come back! Really enjoyed this Intro to Tarot Card Reading class! The instructor was vey knowledgeable and made the whole evening a lot of fun. Would definitely take her other classes. Had such a great experience with Kira and Becky. Both ladies were wonderful teachers who took the time to really explain each step, make sure the class was finished with the step prior before moving on and who gave individual instruction to those of us that needed it. They were patient, funny and just lovely to learn from. I was so happy to leave the class not only knowing some great basics but with a usable decor item as well. Cynthia was a master craftswoman and her excitement about the class was contagious. Tools and materials were thoughtfully explained. She was very patient and encouraging during the broom making process, and came to the rescue when my broom needed extra attention on more than one occasion (I was the only one from the group who brought my own broomstick, a branch of twisted sycamore, and it presented its own unique set of challenges). Space was a little tight for eight people in the shop; the plan had been to work outside, but the weather didn't cooperate. I usually learn quickly, so I was surprised to find myself falling behind and even needing to redo a few steps... as such, I think my personal preference would have been one-on-one instruction or an even smaller group. My little struggles and fusses with my broom taught me a great deal, however, and I feel confident that if I were to try this again, it would be even better the next time around! It's amazingly gratifying to hold my beautiful broom in hand! I have so much respect for what Cynthia does; this is truly an impressive art form. Teacher was very nice and cool. Fun class. This class was a great learning experience for macrame creators of all experience levels! I left feeling confident in my ability to complete several core knots necessary to create beautiful macrame projects. The instructor(s) were very approachable and I enjoyed the ability to work at my own pace and draw inspiration from others. Add a super cool & interesting shop as a venue and delicious kombucha mocktails and you've got the perfect evening! Great class! Very cool store and ambiance. This class was great! The teacher was super casual about Tarot cards - she didn't preach that she was a psychic or anything. It was really cool to practice how to read them. Very engaging class. This class was extremely informative and pretty hands-on. You can tell the instructor really knows her stuff and is passionate about the plant realm. I liked how she encouraged us to try and use our intuition to get messages or feelings from the plants. The Craft was fun, too! This was a great class and a fun way to spend an evening. We learned the basics of the Tarot deck, a few spreads, and practiced reading the cards. The teacher, Anne, was extremely knowledgeable, approachable, and helpful. It was super laid-back and not intimidating. Plus the shop/gallery is amazing. I'm looking forward to taking the next level class and continuing to learn! Loved this class. Super insightful with an overall fun experience! She takes the intensity of the idea of Tarot and makes it accessible. She as reverence and irreverence for Tarot is truly beautiful. The space is amazing. Go go go. Fun class & cool shop--made me realize how much there is to learn about Tarot. Teacher struck a great balance between humor and seriousness. Overall the class was alright. 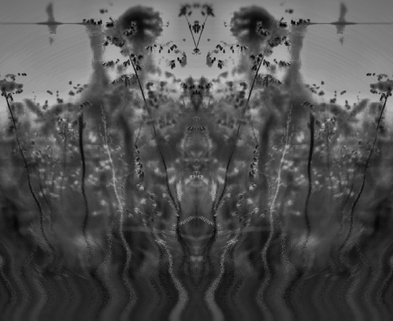 I wouldn’t particularly say I learned much, but it was something to pass the time. The teacher was very friendly and the shop is cute. Unfortunately the set up wasn’t ideal for a class environment. I felt like the class was not as structured as I would have liked. I think it would have been ideal to go through the meaning and imagery of the major arcana cards since they are so significant. I would have also liked to get a little more knowledge on general interpretation / meaning of these cards in conjunction with the minor cards. Isabelle was VERY knowledgeable about Zodiac. The class was a useful approach to everyday life, which I really appreciated. The owners of the store also took the class, and it was awesome getting to know them as well. I loved how organic the class was - lots of questions with detailed answers. Can't wait to return to the store and/or take another class with Isabelle! Good intro to Tarot. Perfect setting to have a Tarot card class. The shop reminds me of the shop in "Needful Things". The teacher seems experienced and knowledgeable. Teacher graciously provided snacks and drinks. The class was a bit crowded for such a small space. This was so informative and fun! I love that the teacher spent so much time giving tips and information about succulents! I love this class. It was easy to follow and the atmosphere was inviting. I had a lot of fun and would definitely go back for another class. An excellent, well-thought class. The instructor was very informative and eager to answer any questions from students. The location is also fabulous, I absolutely love the store. All in all a good experience! Had a great time, and got a chance to meet other participants in a fun way. Might have been nice to have an overarching framework for the lesson, but I appreciated the positivity and supportive environment. Was a really fun class and very informational. The instructor was great. and was very informed about the topic and kept things moving along nicely. The space where the class was held was the perfect venue for class on Tarot and I'll definitely be going back to check some things out in the future. I really enjoyed this class! It struck the perfect tone between taking Tarot seriously and investing in it but also having fun and encouraging questions. The teacher was awesome and did a great job of making us all feel comfortable and sharing some of her experience with us. I would definitely recommend the class and the gallery where it takes place! Anne was a fantastic teacher, treating the topic with just the right combination of respect and levity. Though the class was packed, everyone received attention as they needed it, and felt welcome in the great atmosphere of the gallery. It is honestly such a cool space, in general; I'd like to attend more classes there. As usual, Jen taught an awesome class! This class is great if you are new to the tarot or have been practicing for a while. I highly recommend this class if you are interested in advancing your tarot studies. This was a fun workshop. It was an eclectic group of folks and Ane's shop was really cool. Ane was positive and upbeat and made Tarot Reading accessible to everyone. I love that she emphasized there is no right or wrong message; it is all open to interpretation. I'm excited to practice reading on myself and others. I will definitely sign up for the next class in the series when I am able. Had a wonderful time being introduced to Tarot Reading. It was much more detailed and personal than I expected. A truly enjoyable and eye opening experience at Slideshow Gallery. Don't miss an opportunity to take a tarot class with Jen! She's so insightful and fun. She knows how to make tarot a powerful intuition-unlocking tool for everyone and is eager to share her knowledge. Very positive experience. Welcoming and and provided essential knowledge to give me the confidence to move forward. This was a fun class for beginning tarot! It was very welcoming and interactive and the store was such a great atmosphere! I am lookig forward to taking more classes at this studio! This is a wonderful and welcoming class for anyone interested in tarot. Jen is a creative and warm teacher and makes everyone feel comfortable venturing into tarot. She makes it accessible. She wants you to rely on your intuition in approaching the cards to interpret a situation in creative ways, rather than rely on the notion that tarot is a definitive guide to your future. I've taken this class a few times and will keep taking it because Jen changes up the lesson each time. I'm so glad I found this class! 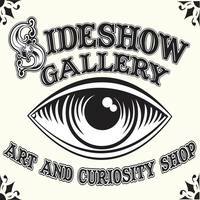 And the location - Sideshow Gallery - is a fantastic shop run by a super friendly woman who is also a tarot reader. I always enjoy learning in this space and look forward to coming back. The class was really great and informative. Ann was very welcoming and has a great deal of knowledge about Tarot. She openly shared her experience and tarot-reading wisdom. She was also encouraging to the newbies. I will definitely be going to the next class! This class was great. Very informative and Jen delivered all of the information in an easily understandable way. The space is also very inviting. I definitely recommend this class. It was a great experience. Jen was amazing. She made us feel relaxed and confident on reading cards. This was a lovely evening. The teacher is friendly and open, had a printed-out guide for us to take home, and has clearly done this before. I would take a class from her again. Great class! Sideshow Gallery is a really cool setting for this and this and the teacher was fun and interesting. She didn't oberwhelm us too much with information and we got to try out what we learned on each other. I loved this class! By far the best tarot class I've taken and Anne is super knowledgeable! I learned so much in this class! Anne gave us great info and we were all able to give basic readings to each other during class. So interesting!! And SideShow Gallery is the coolest. This is a great class for beginners. Learned so much! The space was awesome and the teacher was incredibly friendly and helpful, not to mention hilarious. Would Dabble here again! This was really fun! Learned a lot and had a good time. I will definitely come back.